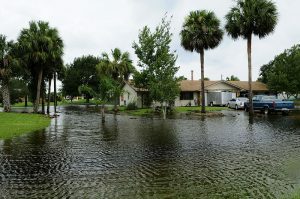 Flooding in Hollywood, Homestead, and other Florida cities can happen with heavy rains, tornadoes, and other weather disasters. In most cases, you will hopefully be safe at home when disaster strikes and will be on high ground. But what happens if you are caught driving when you find yourself in a flood? Flood waters can cause you to lose control of your car, which can result in car crash in Homestead or your community. 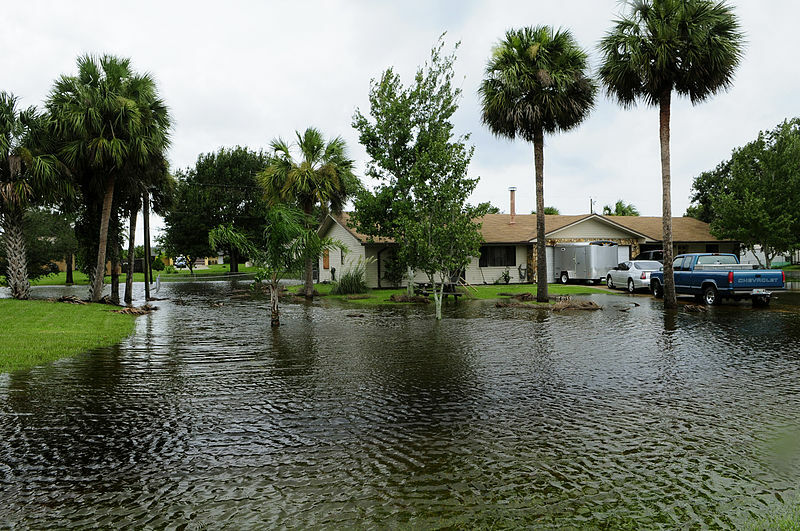 Rising flood waters can cause serious damage in other ways, too. They can knock down power lines or cause electrical shorts that can put people in danger of electrocution. Water can also crash into you or your car with enough force to cause serious damage. 1) Take the situation seriously. It doesn’t take much water to make your car hydroplane or use control. Your car can be swept off the road in as little as 12 inches of moving water. It doesn’t take very deep water or a furious, raging flood to cause life-threatening damage, so don’t dismiss floods. Staying calm and thinking strategically improves your chances of getting out of the situation without injuries or damages. Try not to panic if you see flooding. Look out for barriers in flooded areas. Never ignore them or drive past them; they’re there to protect you. Even if you think the danger has passed and you don’t see any danger past the barricades, don’t ignore them. 4) Be cautious around standing water. You may think a flooded street has only a few inches of water and you may think you can drive through it safely, but you never know what you are driving into. The water may hide sharp objects or potholes that can harm your tires or get you stuck. Still water can suddenly start rising in floods; floods are unpredictable. Roads covered by water can also collapse or can be damaged by the water, which means your car could be damaged if you drive over them. Your engine could stall if you drive through water, too, and water can cause permanent damage to your engine. For all these reasons, avoid flooded streets entirely, even if you think there are “only” a few inches of “still” water. 5) Know what to do if you must drive through flooded streets. If there is an emergency and you can’t take an alternate route to avoid a flooded street, you may need to drive through water. Since this can be dangerous and can do permanent damage to your car, you should only attempt this as a last resort. If you must drive through water, try to determine how deep the water is by looking for fire hydrants and looking at how other cars are able to drive through. Next, check for any downed power lines. Water is a conductor of electricity, so you should never drive through any water that may be in contact with electrical lines. Once you are sure you can do so, drive through the flooded area steadily and slowly, keeping an eye out for the water and for any objects moving towards you in the water. Place your full focus on driving. If your car stalls while you’re driving, you may need to restart your car. This can permanently damage the engine but may your only option of getting to dry land. If your car is stalled and you cannot restart it, watch for rising water. If the water starts to rise, get out of the car and head for higher ground immediately. If you cannot, contact emergency services or try to get help from others nearby. If you drive through a flooded area, dry out and test your brakes once you get to dry land by pressing gently on the brakes and then pressing again while you maintain speed. As soon as possible, get your car to a mechanic for an inspection. You’ll want to make sure there was no damage to your car which could affect your safety on the road. If you have been injured by someone’s careless driving or by inadequate municipal response in a storm, contact Flaxman Law Group for a free consultation. We can help you understand whether you have a car accident claim in Homestead or your community.